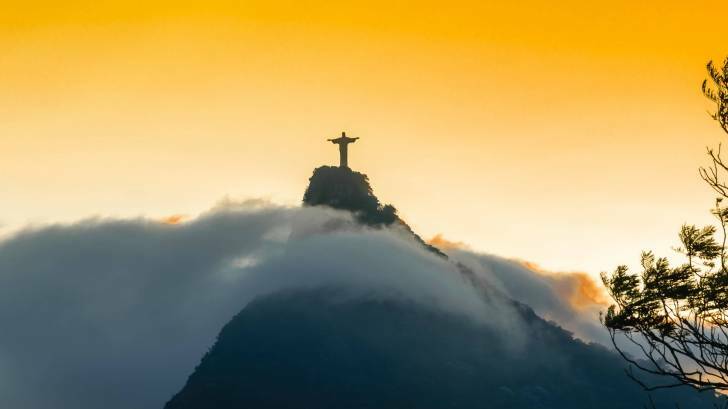 During Brazil’s recent summer seasons, the Yellow Fever Virus (YFV) has spread into the urban centers of Rio de Janeiro, Minas Gerais, and São Paulo. And, according to new yellow fever research, this infectious disease may return for the Summer 2018 season. This is important news since over 6.5 million people visited Brazil during 2017. With 475,200 tourists from the USA. Scientists from Oxford University and FIOCRUZ Rio de Janeiro used genomic and epidemiology techniques to investigate the mode of transmission of South America’s largest yellow fever virus outbreak in the last 100 years. The yellow fever virus is transmitted by mosquitoes in one of two ways, via sylvatic (forest) or urban (city) transmission. This analyses revealed that the YFV virus lineage had spread unnoticed through a sylvatic cycle of transmission in primates during 2016, before spilling over into human populations in early 2017. Further analyses confirmed that 85 percent of both human and primate YFV cases were male and aged between 35-54 years old. “We emphasize the urgent need for an adequate response to this YFV outbreak, such as extending immunization coverage to the whole Brazilian population,” said Pybus. And this vaccination warning applies to international visitors to Brazil. In response to this concerning trend, the US Centers for Disease Control and Prevention (CDC) issued a Level 2 Travel Alert on May 17, 2018, and is recommending visitors to Brazil protect themselves from yellow fever by getting the yellow fever vaccine at least 10 days before arrival. The CDC says about 15 percent of people who get yellow fever virus develop serious illness, which can be fatal. Further, travelers going to areas with ongoing outbreaks may consider getting a booster dose of the yellow fever vaccine if it has been 10 or more years since they were last immunized. Brazil has a very large population of 204 million, spread over a land area of over 8.5 million km. But, this vaccination focus is on three urban areas; Rio de Janeiro, Minas Gerais, and São Paulo. And, earlier in 2018, these cities reported substandard yellow fever vaccination rates. As an example, only 41 percent of residents in Rio de Janeiro state were immunized. Since the beginning of 2018, 4 unvaccinated travelers to the São Paulo metropolitan region died in this outbreak. Moreover, the CDC recommends that people who are unable to get a yellow fever vaccine or aren’t recommended to get it should avoid traveling to areas of Brazil where yellow fever vaccination is recommended. And, there is some good news on the horizon regarding vaccine availability. During September 2018, Sanofi Pasteur, the producer of the YF-VAX® Yellow Fever Vaccine, said the supply should return by mid-2019. Until then, Sanofi’s Stamaril vaccine is available in the USA. Healthcare providers and patients can visit Vax-Before-Travel to learn more about where to schedule a YFV vaccination appointment. And recently the CDC issued a Level 1 Travel Alert on August 28, 2018, regarding Brazil’s measles outbreak. Which means, travelers to Brazil, and the state of Amazonas, in particular, should make sure they are vaccinated against measles with the MMR (measles, mumps, and rubella) vaccine before travel. And most importantly, visitors to Brazil should take steps to prevent mosquito bites, such as using insect repellent with DEET, wearing long-sleeved shirts and pants, says the CDC.